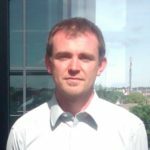 Dr Paul Liston is a Research Fellow in the Irish Centre for Cloud Computing and Commerce and lead researcher for the Open Banking Research Consortium. His primary field of research is business process analysis with particular emphasis on systems modelling and simulation. Paul has successfully applied these techniques across a broad range of business sectors including manufacturing, supply chain, healthcare, customer support and financial services. Paul previously held the positions of Global Commodity Manager and Supply Chain Consultant with Dell Computers where he drove efficiency improvements in logistics and spare parts inventory positioning. Prior to this, Paul worked with the Irish Centre for Manufacturing Research on an industry-led collaborative research initiative that examined process improvement challenges in large multinational companies including Analog Devices, Bombardier, Boston Scientific, Seagate, HP, Intel and Pfizer. Paul has lectured in Discrete Event Simulation at Dublin Institute of Technology, Supply Chain Planning at the University of Limerick, and Lean Principles and Practices at the Institute of Banking.